According to a recent article from the Sand Diego Free Press a number of leading trucking companies have engaged in a battle over whether they are classifying drivers incorrectly as independent contractors. Our wage dispute attorneys know that some employers are always looking to save money, even if its at the expense of employees or even the law. Port trucking companies in California have taken the position that they are beyond the reach of California’s employee protection laws. 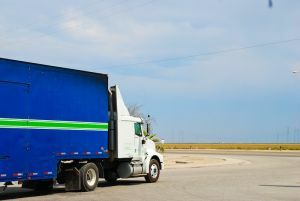 These trucking companies argue it does not matter whether they are misclassifying employees as independent contractors because there is simply no recourse for the State of California. Out of about 12,000 Southern California truck drivers, a staggering majority are misclassified as independent contractors. Although this may seem like it is only a title, it has extremely significant legal implications. The major issue with misclassification is that low-income, primarily immigrant drivers are denied fundamental workplace protections and rights. This means that the trucking companies are not subject to OSHA protections. In addition, these employees do not receive the benefit of minimum wage laws or overtime regulations. Furthermore, these workers do not have the right to legalize as a union, or receive unemployment insurance, workers compensation, or disability. The truck drivers are sometimes saddled with the payments for the vehicles they drive which may leave them to earn cents per hour for a workweek that may be in excess of 60 hours. Various levels of the California government have recently taken notice and begun to take measures to fix the scheme that takes advantage of immigrant workers and robs the public of millions of dollars in unpaid taxes. The federal government has begun to take notice as well and both state and federal governments have filed lawsuits against many California trucking companies with regard to their misclassification of truck drivers. In the past year, approximately 19 drivers have been ruled employees by the State Labor Commission. The result: all 19 drivers have been found to be employees and not “independent contractors” which entitled them to an average of $66,000 in back pay each. The industry is fighting hard to stop these lawsuits because a domino effect could result. As more drivers make their case it could expose trucking companies at the ports of Los Angeles and Long Beach to over $1billion in past wages. The trucking companies also know that if the truckers are recognized as employees they will be granted the rights they deserve and allow their drivers to have a voice with regard to the substandard working conditions.